There was quite a stir when it was reported that Pope Francis had told a young boy that animals have souls which go to heaven. The story grabbed the headlines because it was the opposite of the previous Papal position. Within 24 hours the story had been repeated so often that it was an assumed fact – until denied by senior Vatican observers. According to the authoritative Catholic Herald, Pope Francis never said any such thing. Or did he? I was brought up as a Presbyterian and the ambiguity of the Christian view of animals was a cause of concern to me. My parents and kindly church minister assured me that the souls of my dearly-loved pets would be looked after by God when they died. These assurances could not be backed up with scriptural reference, however, and I always suspected a fudge. I would have been more reassured by a definitive, Biblical quote, ideally from Jesus himself or, at a pinch, St Paul. One of the many attractions of Buddhism to me is its common sense approach to this subject. For starters, there is no notion of a soul. Instead, Buddhism talks about mind or consciousness. 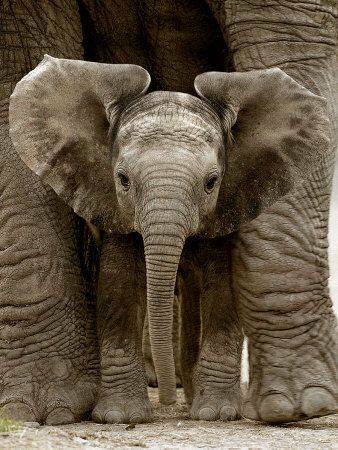 As conscious beings, we are aware that animals are conscious too. The Tibetan Buddhist phrase for sentient beings is “sem chen” or “mind haver.” Whether a being is a cat, human or cockroach, it has mind. All sentient beings share three self-evident qualities. The first is that the most precious thing in the world to us is our own life. We are fearful of whatever threatens it and will go to any lengths to preserve it. When my wife removed a snail from the step of the gym she attends, early one morning before the doors were opened, one of her fellow class goers wrinkled her nose in disgust. ‘The snail’s life is as important to the snail as your life is to you,’ she explained to her fellow cyclist. The latter clearly thought she was mad. But several months later she confessed to my wife that she’d given a lot of thought to what she had said and couldn’t fault the logic. She no longer put down snail bait around her roses, she added – now she removed snails and dropped them over the garden wall! The second quality we all share is that we wish for happiness and constantly seek out what we see as the sources of happiness. Interestingly, even these are very similar whether human or non-human. Readers familiar with Maslow’s hierarchy of needs will note that most lower-order needs – food, shelter, security, social – are identical whether human, pig or bird. 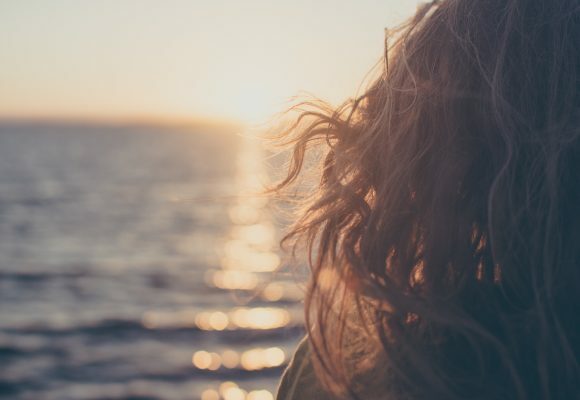 The third quality is that we all wish to avoid suffering – and again, notions of suffering are more similar across human and non-human “sem chens” than many people ever consider. In most cases, people actively avoid considering them so as not to confront the cognitive dissonance involved, say, in eating bacon given our understanding of the proven intelligence and sensitivity of pigs. While the mental capacity of human beings is unique and, for this reason, Buddhists sometimes refer to the human form as being like a vase containing a great treasure, nevertheless, at the most basic level, we all possess consciousness. What happens to this when we die? Whether human or other beings, the end result of the death process is that very subtle consciousness moves onto new experiences propelled by the conditioning of previous ones. As pet lovers we have the opportunity, even the responsibility, to help our pets have conditions where they can avoid harmful behaviour, and have their mental continuum imprinted with positive, peaceful experiences. A very useful practice is to murmur mantras to your pet when he or she is relaxed and peaceful, thereby creating an association between the mantra and a positive state of being. Repeating this mantra at the time of the pet’s death may hopefully help him or her die in a more positive way. Buddhists sometimes use the phrase ‘mother sentient beings.’ This is to make explicit the notion that, since beginningless time we have had any number of relationships with every other living being, including them having been our mother. Realising this simple notion revolutionises our attitude to animals. In summary, the Buddhist view is that animals have minds; they seek happiness and the avoidance of suffering; and it is their subtle consciousness propelled by conditioning that has brought them to their current experience of reality – just like us. They may have been our mother, lover or best friend in a previous lifetime. If they share their lives with us, as pets do, there is an extremely strong connection between us. Their capacity for self-development in this lifetime is limited, but we have the power to help them, in particular to imprint their mental continuum with the causes for future exposure to virtue and positive influences. In recent years, I have discovered the existence of esoteric Christianity, where ideas about the nature of consciousness, including animal consciousness seem close to those of Buddhism. The Franciscan order, named after St Francis, the friend of animals also seem on a parallel meditative path. And it’s interesting that the current Pope chose ‘Francis’ for his Papal name. So, who knows what really happened between the boy and the Pope. 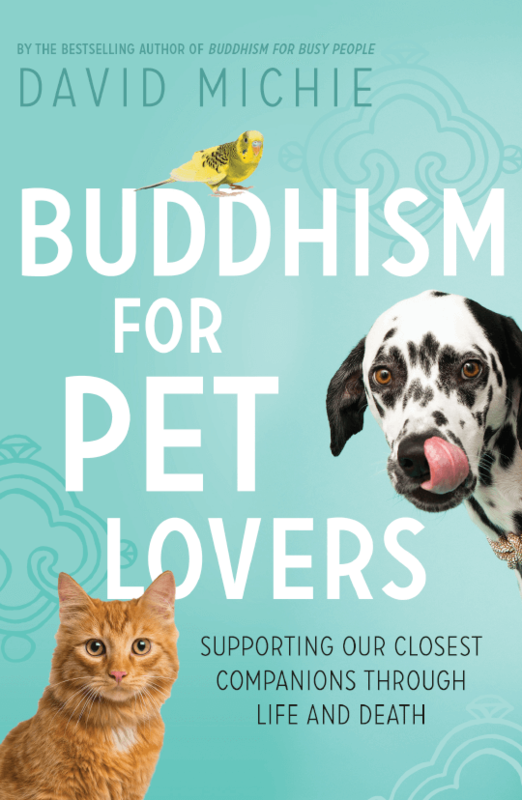 But I hope you may find new food for thought in Buddhism for Pet Lovers, which explores consciousness among all sentient beings! Thank you for this clear and simple understanding. I immediately shared this with my young daughter. HRH Princess Wussik of the Sapphire Throne is beautiful. You have written two spiritually haunting books from the viewpoint of HHC. I know that you must miss daily contact with your princess…her purring and perhaps head butting. I miss all my little angels. Thank you for…much much much. I found it interesting when I heard one lama say that cat’s cannot attain final liberation because they kill other beings. 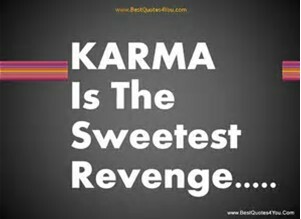 I suppose some practioner could help to clear their karmic accumulation so it doesn’t come to fruition. Yes, I agree with you! Of course animals have minds. I’d say souls, but I’m no Buddhist. I’ve always believed animals have consciousness — minds, feelings, and souls. I love the idea of reciting mantras to my cats when they’re sitting comfortably. I have recited the Heart Sutra mantra — gate, gate, paragate, parasamgate, Bodhi soha! — as I sat with a cat while they died. There are times I can’t say the Heart Sutra mantra without crying. I suspect that the animals in our lives help US obtain a higher state of being. Not so sure that humans really are at the top of any chain. But in all seriousness, thank you for your essay. Very informative. David, I have a question about meditation – and my cat! Whenever I sit to meditate my cat insists on participating! He purrs and head butts and snuggles in my lap and I end up smiling and trying to incorporate his purring into the meditation. Is this okay? I wonder if I am getting the benefits of meditating – is he a distraction or is he an opportunity to be mindful? PS He likes to participate when I do yoga too! Thank you so much, David! I think I need to find a better spot for meditation – one that isn’t so associated with cuddles. And despite my skepticism about consciousness after death, I have to admit that I sometimes speculate in my mind that one of my cats has returned to me. I had a very cat for years who became very elderly and when he finally was terribly ill and had to be put down, he died in my arms, head cuddled into me. Afterward, instead of grief, I felt an incredible joy walking down the street, as if he were with me telling me everything was okay. Five years later to the day, my little cat Keek came into my life, a kitten who had been abandoned and was so ill he nearly died. I nursed him back to health. It was also a time in my life when I was terribly depressed and looking after him saved my life as well. He’s the one who loves to cuddle during meditation. Maybe there is something to what you say after all! 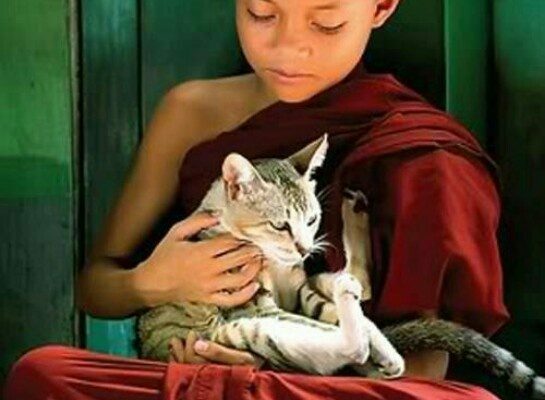 (I loved “The Dalai Lama’s Cat” – must read the second one! I love the Dalai Lama’s Cat and the Art of purring of yours . I used to recite mantra into the ear of my bichon frise Topper when he had seizure , or even when he was well and in my arm. I wished him be born human next rebirth . 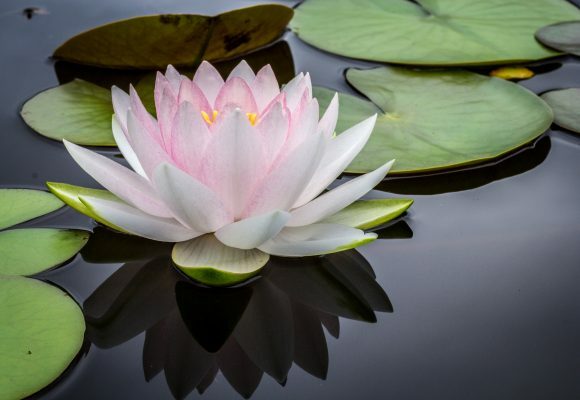 My aunt used to tell me that I was so lucky that I must have been a koi , in a pond in some temple , listening to the mantra , during my previous consecutive 10 lives ! Continue to spread kindness to all . Inchuding cockroaches. One day , my nurse showed me a small vial with a tiny cockroach inside . ” I have notified the pest control of the clinic “, said she . I replied : ” I will give them 1 hour . If they do not come , I will release this one ! “. One hour later , nobody came , to my relief because I wanted to be fair and not favoring this cockroach over the well being of my staff . I brought the poor guy down 4 flights and released him in a bush . Nobody got sick but everybody was amazed . I suppose some practioner could help to clear their karmic accumulation so it doesn’t come to fruition. It’s in the book of Baruch (in Catholic Bibles) and in the Letter of Jeremiah (in Orthodox Bibles right after Lamentations — but I don’t know their chapter/verse numbers). In some Protestant Bibles, they print it among the Apocrypha. Anyway, the letter discusses all the reasons that idols are a little bit laughable, as an encouragement to Jews living among pagans, and then gets down to idols kept inside people’s houses. So if cats aren’t in the Bible, it’s an abridged version. Thank you for your books, David — I am re-reading The Dalai Lama’s Cat with my book circle, and really enjoy your blog. Thank you for the Work you do in our world. Looking forward to the 3rd in the series!! Yep, I learnt from my master that every living beings with blood coarsing through their veins has Buddha nature, whether you are an animal, insect or human beings. Through cultivation we could release our soul to soar to greater heights. Unlike dogmas that teaches otherwise. Sadhu! Sadhu! Sadhu! I would like to see your views or clarifications regarding animals, particularly dogs and cats. I have many cats at home and also feed the strays outside. Many of my close friends do the same. As such, we often encounter deaths, whether it is a cat ran over in a accident on the road, or our beloved cats and dogs passing on due to old age and sickness. Some of my friends like to believe that animals would pass on and “cross the rainbow bridge” and that they (humans) would meet their pets one day. I supposed this is very comforting for them. I personally would just pray and talk to them to have a better rebirth, and even move up to be a human instead of being a cat or other lower form in their next life. Lately, I was told that the Japanese Buddhist Nichiren Shoshu sect holds that the animal, like a cat or dog, would be reborn again and again in the same form for many cycles. Of course, this is not a very encouraging view. So, I am rather confused now. What is your view? Many thanks, David! I am Roman Catholic, love all animals, early in the morning i do some light jogging and lots of times i see cats overrun by cars even hedgehogs crushed to death, this makes me really upset and I pray to God in order to protect all animals from human selfishness especially to their dogs and cats when they abandon them . I try not to step on a snail when jogging because i am sure that all creatures weather small or big have the same feelings like us humans, they have love, they get scared , they get hungry and thirst, they play and rest, no difference then us, so if we have a soul so do they, I don t believe what the bible say and mostly do not agree about animal sacrifices in order to please God.I do not believe that they are inferior to humans, its just that humans brains evolved faster. I have 8 cats at home all saved from the streets, I saved lots of hedgehogs and feed some other stray cats. I hope that re incarnation is not for real because I would not want to be a dog in Romania or China, dont want to be a bull in Mexico or a donkey in Arab countries . Yeah they are also the part of this beautiful world and they too have minds and consciousness. If one have mind as well as consciousness, then there is much probability of becoming the Enlightened. Though I want to share small things. I think these animals and plants have more chances becoming enlightened. Killing and eating is the just the part of these animals and carnivore plants, and they may be afraid of being killed but they aren’t quite greedy as much the human beings. i might be mistaken but it seems that a human conscious in buddhism view cannot be reincarnated in an animal after death. Getting the human status is supposed to be a sure way to not go backwards. Amazing timing for seeing your post..I was explaining this to a friend yesterday. .I have been with many people and animals as they died and interestingly it seems that beings are drawn to me as death approaches. .even though none know anything of my spiritual alignment with the Dharma. We can all help each other so much, it is the meaning of life to care for others no matter what form they take. Thankyou for your open view, and courage in sharing. How lovely it is that you incorporate your life stories (as in your wife’s snail incident at her gym) into your books (the professor who changed his viewpoint and began to throw his snails over the garden wall instead if spraying them). Thank you for further clarifying animals and rebirth. hmmm….my cat is killing a mouse almost every day. I find it very distressing as i here the poor thing squeaking as it tries to escape and he plays with it. He never eats them but leaves them like trophies on my door step. I try to free them when i can…should i try to get the cat to stop this? how? It is cat ‘nature’…but my other cats didn’t do it, though they might have liked to. It would be better if at least he ate them….but to just die so needlessly is sad. Reading about whispering mantras to our beings, thought to myself hmmm I really must make a conscious effort to do this as one of my dogs is ageing. Then realised that we already have done this 🙂 as we often listen to mantras during our ‘we make beautiful?’ time which is a prolonged grooming and belly rub session. I sing to her some of the chants that we listen to by Sheila Chandra and if and when the time comes that she goes before me then I will now remember to sing to her – thanks for bringing this to my awareness. thank you for sharing. Adding to my knowledge of animals!